YouTube, as the biggest online video sharing site, has become the first choice for people to find music, videos, TV shows and more. But the format of all videos here is FLV, which can't be played on most of devices, especially smart phones such as Android phone. Then how to transfer and play YouTube FLV videos on Android phone? If there is such a transferring tool that can both convert and transfer FLV to Android, it will be fantastic! 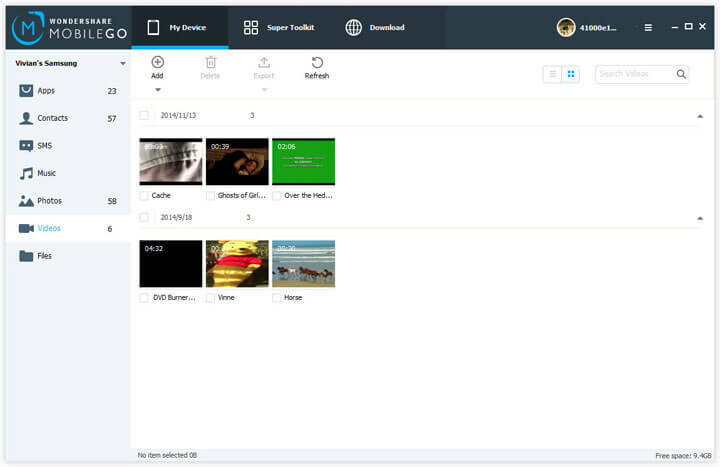 You are lucky, here comes Wondershare MobileGo Android Manager, which can help to convert and transfer various video formats to your Android phone. Let's have a try here. Install and launch the program, and then connect your Android phone to the computer. Then choose "Videos" to click "Add", to import the FLV videos. When import FLV videos, there will be a note telling you the movies you are adding are not supported by the phone, and you need to convert them for your phone. 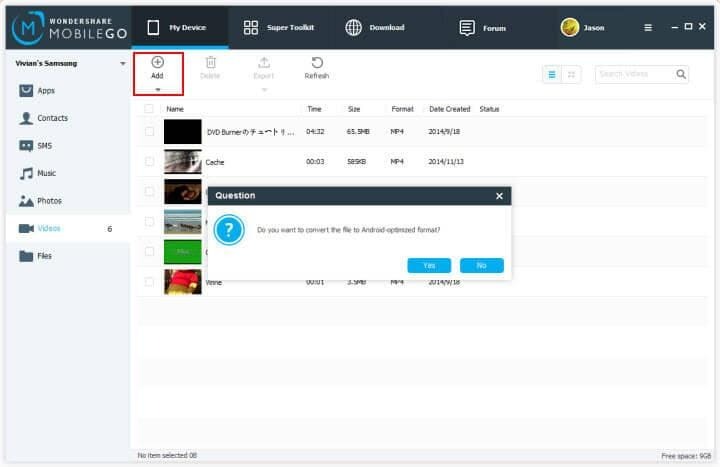 You just need to choose "Yes" to convert FLV videos, and they will be directly added to your phone after the conversion. You can see the process of the conversion and transferring. When the task is done, you can check the videos in the video list of your phone. And you also can remove the videos by selecting the video clips and click Delete on the top menu. Here you can enjoy your videos on your Android phone now. What's more, Wondershare MobileGo Android Manager can help to transfer photos and convert music to your phone, as well as backup your contacts and SMS between your phone and computer. There is also another way for you to transfer and play FLV videos on your Android phone – Wondershare Video Converter. It offers you a complete solution to download YouTube videos, convert FLV videos and transfer to your phone. Choose the best way for your own, and enjoy your YouTube videos on your Android phone easily on the go now!